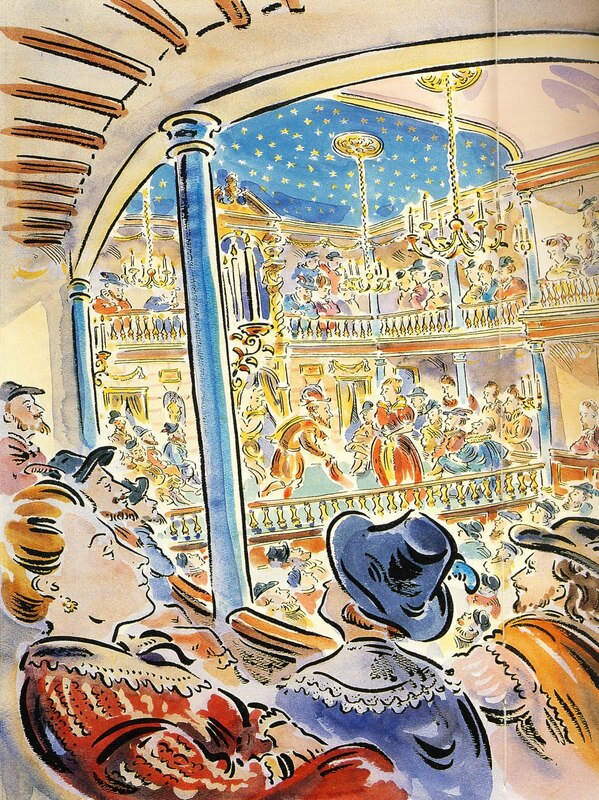 In Shakespeare’s day, London theaters like the Globe could accommodate up to 3,000 people watching popular plays. With theaters running most afternoons, that could mean as many as 10,000-20,000 people could see a play every week! Who were these people? Shakespeare’s audience was the very rich, the upper middle class, and the lower middle class. All of these people would seek entertainment just as we do today, and they could afford to spend money going to the theater. Royalty might attend the theater in a private gallery, or they would summon the players to perform at their court, as Elizabeth I and James I did. To get into the Globe, it would cost a penny (there are 240 pence to one pound). In Elizabethan England, one penny would buy a loaf of bread, a pint of ale, or a ticket to the theater. Those who paid just one penny would be known as Groundlings, because they stood on the ground in what was known as “the yard,” which is the area closest to the stage. For another penny, they could sit on a bench just behind the yard. For a penny more, they could sit more comfortably on a cushion. To get into the upper galleries, which were covered and had seats, cost would start at 6 pence. Audiences in Shakespeare’s time behaved much differently than what we think of today when we go to the theater. In general, audiences were much more rowdy and directly involved in the show than we are today. There was not electricity for special theater lights, so both the stage and the audience were in broad daylight, allowing them to see each other and interact. Shakespeare’s soliloquies would be said directly to the audience, who could potentially answer back! The audience would move around, buy food and ale in the theater, clap for the hero, boo the villain, and cheer for the special effects. The audience might dance at the end of a comedy along with the characters onstage. If an audience didn’t like a play, they might even throw furniture and damage the theater! Shakespeare used several tricks to get and hold his audience’s attention. One that you may notice is that his plays rarely begin with the main characters onstage; usually a minor character begins the first scene. This was because at an Elizabethan theater the lights could not dim to indicate the beginning of a play, it would just begin with characters walking onstage and beginning to speak, usually over the audience’s noise as they settled in to watch the play. The first scene would usually set the mood of the play, but the opening dialogue would not be vital because it might not be easily heard. Another trick that Shakespeare used was to break up the main action of the play with clowning. In most of his plays, there is comic relief in the form of “clown” or “fool” characters sprinkled throughout the show, making jokes or clowning around onstage. This ensured that even during a 3-hour history play, there would be something that appealed to everyone. Remind yourself that the first scene mostly sets the mood of the play, and rarely has vital dialogue, so if you miss some of the words at the beginning, that is ok. It can take a couple minutes to tune your ear to Shakespeare’s unusual language. It’s a little bit like listening to a friend with a heavy accent speak; at first it can be difficult to understand, but after a minute or two it’s easy. Our actors are professionally trained to make sure that you understand the words, so you’ll catch on quickly! Enjoy the play, and feel free to express your enjoyment. Laugh at the clowns, clap for the heroes, gasp at important revelations, and applaud for the actors at the end to thank them for their work. This will keep you engaged in the show, and help let the actors know that the audience is paying attention and enjoying the play. Remember that in a play, unlike in a movie, the actors can see and hear you, too! Even with more sophisticated theater lighting that keeps the stage lit and the audience dim, the actors are often very close to the first few rows, and they can definitely hear the audience. That means please don’t talk to your neighbor during the show, don’t allow your phone to make noise, and don’t text (it lights up your face!) – these can all be very distracting. And finally, remember that the theater is for everyone. In Shakespeare’s day it was a very affordable form of entertainment that appealed to everyone. Theater is not meant to be only for the upper class, only for college graduates, or only for older people. Shakespeare’s plays can speak to you whether you have seen lots of plays or no plays at all, if you’re rich, poor, young, old, or if you enjoy cheap jokes, amazing speeches, or action sequences. Shakespeare wrote his plays to be for everyone, and that still shows through today. 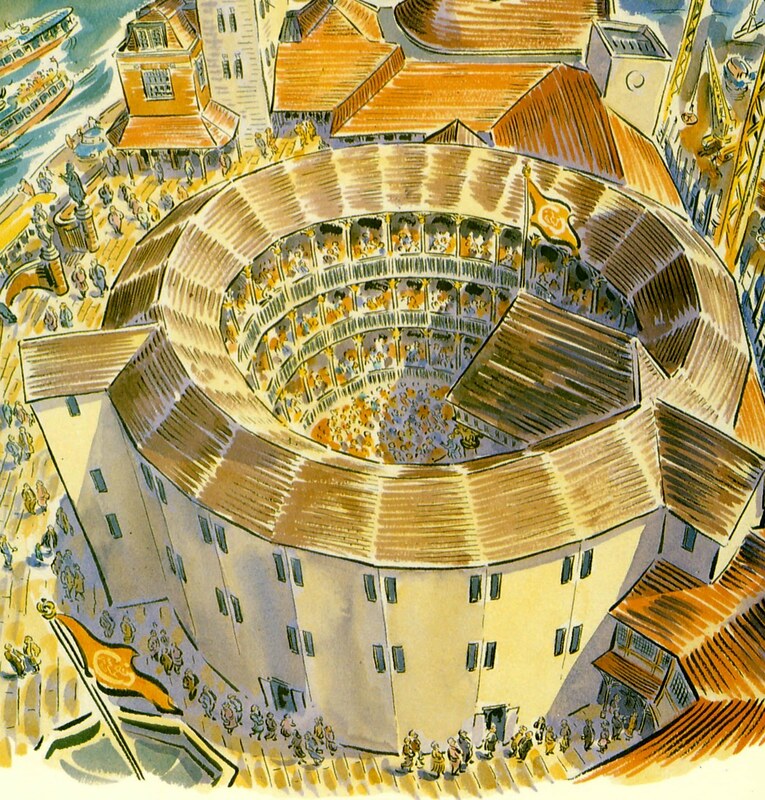 Illustrations from “Rebuilding Shakespeare’s Globe” by Andrew Gurr and John Orrell. I much appreciate this note telling me: 1 about the crowd opening part of his plays and why and 2 one may adjust to the different tone of language being used. His plays have long turned me off for the second reason and I never learned to adjust. Glenn Harper, 1968 PhD.